Rovaniemi is located on the Northern Arctic Circle, Finnish Lapland. By air: Daily flights between Rovaniemi and Helsinki - the easiest way. Flight time - 1h20m. Price from 35€. Winter and spring: direct regular flights from London, Berlin and Zurich. This bridge you can see at most Rovaniemi postcards. Here people come to take pictures after Santa's office. Picturesque spot at city center. Many photo opportunities from both sides. Best time to visit - evening when lights are on. Finland is unthinkable without sauna. You can not skip it visiting Finland as a tourist. Saunas are everywhere: hotels and holidays cottages, pools and gyms, apartments and offices, and even inside the Parliament or central square of some cities. Santa Claus official address: Santa Claus, Santa Claus’s Main Post Office, 96930 Napapiiri, Finland. 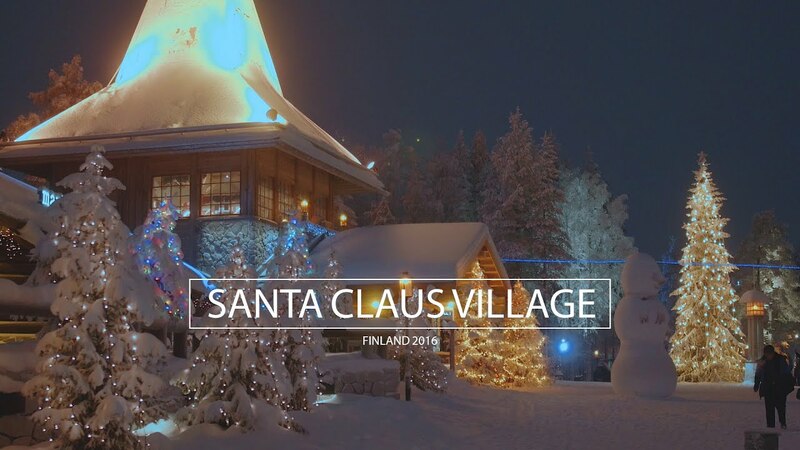 Meet Santa Claus and cross the Arctic Circle every day year round at the Santa Claus Village in Lapland in Finland. Santa Park is located just 2 km from the main Santa village and Santa post office. Rovaniemi is a place to ride husky sleds. Husky safaris in Lapland - adventure for incentives, holiday groups and individual travellers. There is plenty of variety from short drives to multi-day safaris. 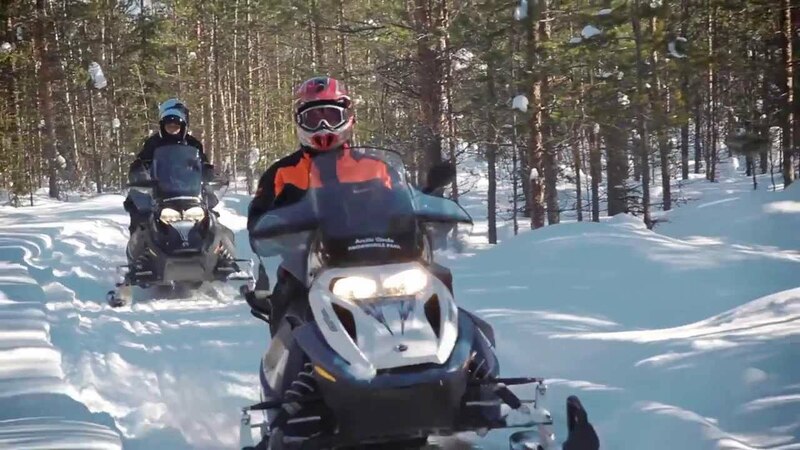 Why not to discover unique nature of Lapland from snowmobile safari? Or even Aurora snowmobile Safari possible to see Northern lights. Santa Claus Village in Rovaniemi has Snowmobile Park. * Hotel price: from 180 euro/night. Santa Claus Village - 35 km. / Central Rovaniemi - 26 km. /	Rovaniemi Airport - 35 km. There are a lot of activity companies in Rovaniemi offering Northern lights tours and packages. They know best places and best time to see the Lights, can advice how to make pictures of it and tell stories. You can choose from Northern light safari by snowmobile, by snowhoes or by reindeer or husky sledges. Northern Lights experts say that Aurora is visible every second night during the season of dark nights in Lapland. But it is not always seen from the ground because of the clouds. There is an unique opportunity in Rovaniemi area to see the Lights from the air above the clouds! Wild Nordic company has	Piper PA31 private jet with 7 passenger seats. Flight time is around 1 hour, including take-off and landing. 4. Lapland Hotel Sky Ounasvaara. * Wild Nordic - Rovaniemi photography tours. Very special place to enjoy Lapland views and Michelin star quality food for a very decent price. Restaurant situated on Ounasvaara Fell. Roof terrace with panorama views over Rovaniemi city and the Kemijoki River valley. Wide windows looking across the fells and treetops, and even the sky. Food becomes even much better if you can see Northen Lights while dinning there. One more place in Rovaniemi with Lapland food experience and nice atmosphere. Arctic salmon, reindeer, local berries and other specialities as well as deserts and drinks. 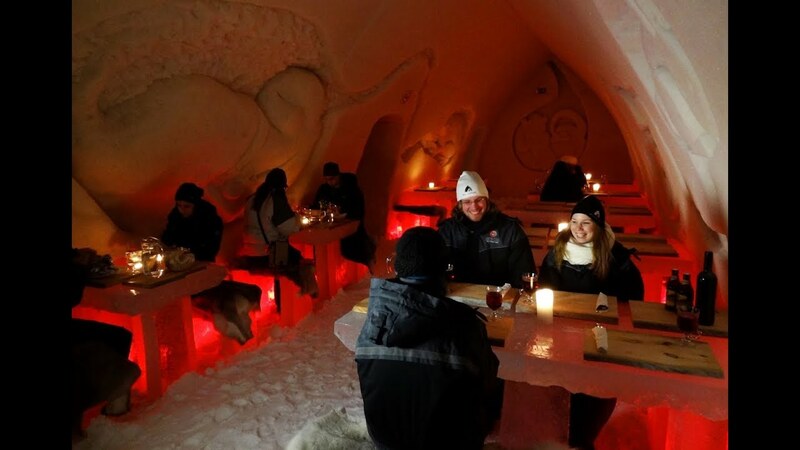 Restaurant furnishings are Lappish handicraft and Lappish wood, reindeer horns and reindeer leather. Local food restaurant, who use ingredients from the purest nature and prepare them in Arctic ways. Finnish beef, lamb, reindeer, willow grouse, Arctic char, Lake Inari whitefishand Norwegian king crab are the main ingredients. What to do around? Events. 17 November 2018 16.00 The Grand Opening of the Christmas Season in Rovaniemi. 14 December 2018 Arctic Market. Arktikum. Rovaniemi in a few words: Lapland - Santa Claus village - Polar circle - Northern Lights - Lappish food - Reindeers and Husky - Snowmobiles - Christmas spirit and Magic. Rovaniemi is located in Finland, Finnish Lapland. The easiest way to come here is via Helsinki (Finnish capital). Helsinki-Vantaa international airport has flight connection with 45 countries worldwide. There are direct flights as well as charter flights during high season. Rovaniemi airport is the biggest Lapland airport and it has daily flights from Helsinki and seasonal flight connection with some other European cities. For example, direct flights from London, Berlin and Zurich in winter - spring months. Rovaniemi is special during Dec-Jan because of the Christmas and New Year spirit of this time. Of course, people all over the world try to get there at this time of the year. So be ready to face fully booked accommodation well in advance, necessity to book activities beforehand and restaurant tables. We’d recommend to plan a trip to Rovaniemi from end of November till mid April to get as much as possible from the Lapland trip. During this time there will be snow, and many winter activities run from end of November. * December and January is time for Polar Night in Lapland when sun does not rise above the horizon. It does not mean that there is dark all the time. There will be some kind of blue shining during a day (inbetween 10am to 2.30pm) and sun will be very very low, almost at the horizon line.